Copyright, 1886, by Wm. A. Pond & Co. Words by Emily Stuart Weed. Music by J. T. Draper. My wishes far over the sea. 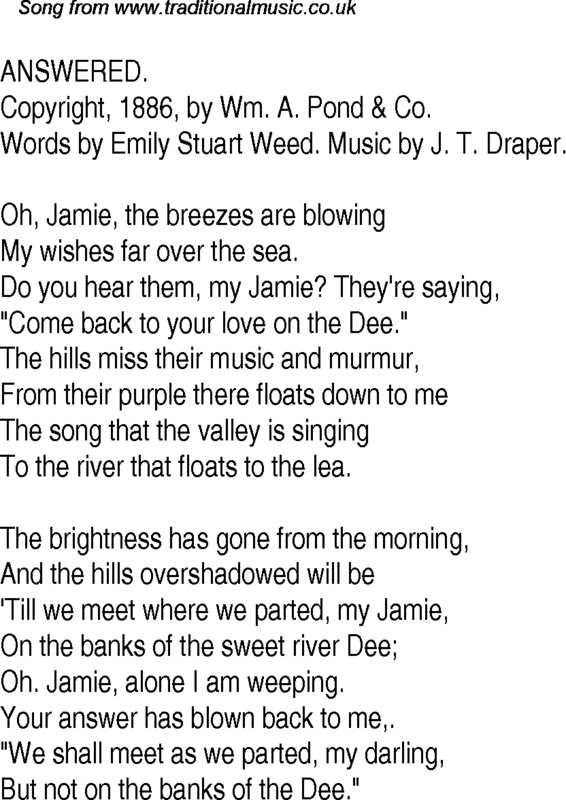 "Come back to your love on the Dee." To the river that floats to the lea. Oh. Jamie, alone I am weeping. Your answer has blown back to me,. But not on the banks of the Dee."